My Top 5 Geeky Clothing Items I Need in My Closet! My Top 5 Geeky Clothing Items I Need in My Closet! 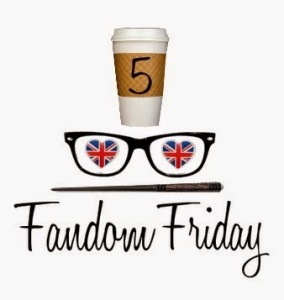 Last week, I stumbled into the Nerdy Girlie’s blog where she is running a weekly 5 Fandom’s blog carnival type thing. This week’s topic is 5 Geeky Clothing Items I need in My Closet Immediately so I just popped to Amazon and had a look at the stuff on my wishlist. There were loads of things on there that I have bookmarked but unfortunately, most are items that I’ve thought of as gifts for friends and family so that gave me an excuse to go window shopping for myself! 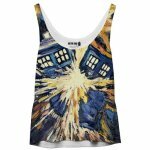 The Dr Who Van Gogh Starry Night Tank Top is one of my favorite designs from all the Dr Who t-shirts and tank tops. I loved that episode as my Mum is a big Vincent Van Gogh fan and I’ve grown up with his Sunflowers and Starry Night paintings as posters that Mum had framed way back when I was little. I loved the Blink episode too but the designs for t-shirts didn’t catch my eye like this Starry Night one did! Having grown up watching Dr Who since as far back as I can remember, I think it’s about time I owned a Dr Who t-shirt! As I mentioned in last week’s 5 fandoms post about early geeky influences, dragons have always been a big thing with me. 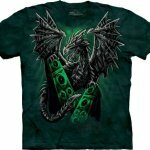 This Electric Dragon T-shirt is absolutely gorgeous and I love the dark green color too – I’m usually a black & grey kinda gal so green is a big change for me! It’s not a Dragon of Pern or World of Warcraft but dragons are dragons no matter how you draw them! A few years ago, I got into fractals as a side shoot to my photography. 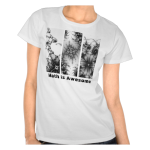 I have a few fractal designs in my Zazzle shop but this t-shirt is doubly awesome – it has a gorgeous black & white fractal tryptych design and my favorite Math is Awesome saying too! If I hadn’t messed up at school, I was hoping to go to University to do a maths degree so this is a throwback to my youth as well. I still love Maths, I just don’t get to use it in any great depth these days. This Carina Nebula Space T-shirt is gorgeous – I love the colors and the great details that you can see in the image. I don’t know a whole lot about space & nebulas but I have been involved in the Galaxy Zoo project on and off over the years and always find helpful and friendly people in their forums. I would love to visit a desert observatory and learn how to take great photos of the night sky but that’s on the ‘one day’ list along with a whole host of other weird & unusual things I’d like to do. My boyfriend has this World of Warcraft related t-shirt and it’s great! I love purple as a color and much of my time in World of Warcraft is spent chasing those elusive purple epic loot items so this shirt is perfect for me too. I wouldn’t wear my Epic Purple T-Shirt at the same time as him though – that is just a little too much purple for my taste and besides, he looks better in purple than I do! So there you go – my top 5 geeky clothing items that I would love to own. I should link this to my family in time for Christmas – who knows – they might take the hint! I love my Epic Purple Shirt and my Horde Hoodie! WoW designs come and go, but Epic Purple Shirt has withstood the test of time! The colours in that electric dragon shirt are phenomenal! Green doesn’t really seem to get much action, which is a shame because that colour is gorgeous.